Yavor Gechev greets me at the door of the Bulgarian Four Paws chapter in Sofia. Beside him, in the door frame, pops up a furry black head: Sherlock, the office dog, glares at me curiously but is reluctant to leave Yavor’s side, so I have to settle for what the pooch deems a safe distance from strangers. As we sit to talk in the bright office, walls covered with inspirational quotes and successful rescue stories, Sherlock settles down under the table. Yavor explains that, just like the iconic character he was named after, this border collie mix is a highly intelligent and a bit socially awkward, hence the name. Most dogs who find their way into the safe embrace of Four Paws have come here either from the streets or were at danger of ending up there, just like Sherlock. He was part of a 16-member pack, whom an illegal breeder had written off as unsaleable. 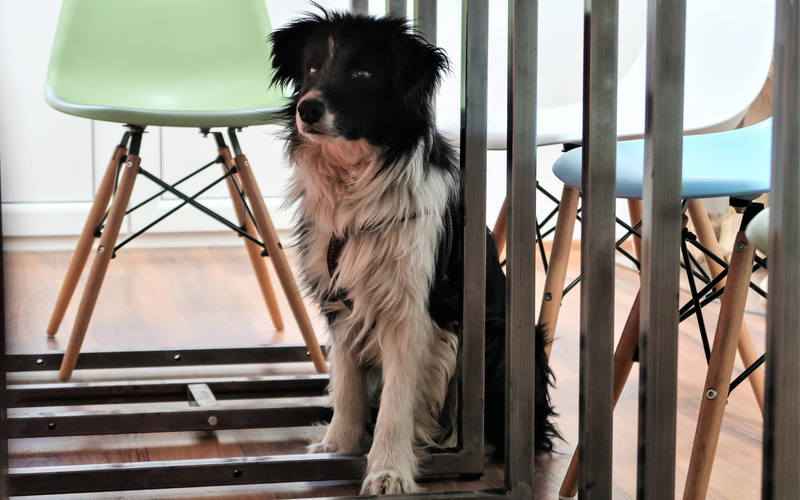 The kennel was funded by a Norwegian woman, who was breeding border collies and poodles in various locations in rural Bulgaria, hidden away from law enforcement. Out of around 100 dogs, 24 were mixed breed and the owner couldn’t sell them but kept looking after them. When she passed away, the kennel’s caretakers continued to feed the dogs for a while, but when they could no longer manage, Four Paws received an emergency alert. What the rescuers found was a filthy, bare outside enclosure, where Sherlock and his 15 relatives would all receive food and water in one rusty bucket. The caretakers’ only responsibility was to provide food, so none of the pups were properly socialized. Even so, most of them turned out to be sweethearts who quickly found humans to love them. Sherlock, however, even though he wasn’t the youngest, was the odd one out. Everyone else would abuse him and push him around. So, when Four Paws took the dogs in, they had to separate Sherlock from the rest of the pack, because they wouldn’t let him feed. But being an incredibly social creature, he couldn’t handle loneliness and started suffering from severe anxiety. – an alarming signal which the team immediately recognised. Something had to be done if this pup with a spark in his eye was to have any hope of a new life. Despite already sharing his life with a dog and a cat, Yavor came to the rescue as Sherlock’s foster human, to help work on socialisation and adaptability. Not every Four Paws team member has dogs, but each human in the organisation cares for at least one animal. 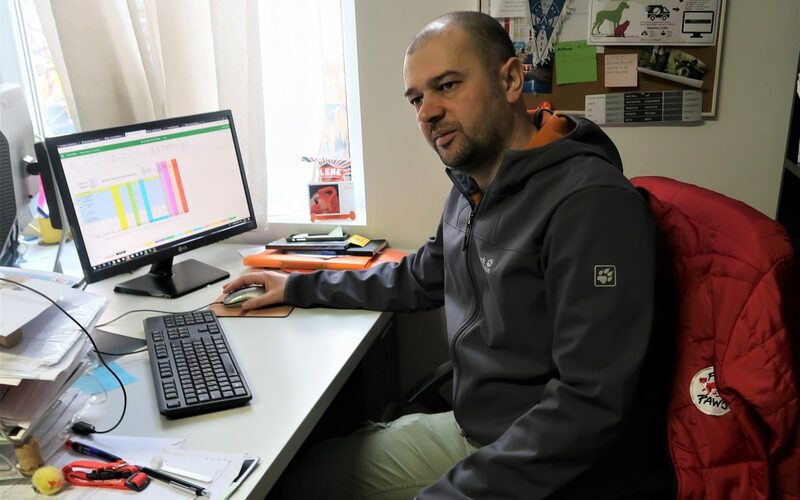 Indeed, it’s only natural, since this is the biggest animal welfare organisation in Bulgaria and being not just a dedicated professional, but also an animal lover, is a must for employees. “It’s always such a nice surprise to see people come to us from prime roles in the corporate world. Many of them have made the conscious decision to transition into a career with an animal welfare organisation because they want to do more for the world, even if it means getting paid less,” says Yavor. Apart from helping stray dogs and cats, Four Paws takes care of abused wildlife and manages a bear sanctuary. For the first time this winter, all the animals at the Dancing Bear Park Belitsa turned their backs to a past that’s better forgotten and went into full hibernation. When it comes to the four-legged with a bark and a spark, Four Paws focuses mostly on spaying and neutering stray animals, as well as guiding municipalities in creating humane, thoughtful and sustainable policies for animals at risk. The NGO has a clinic in Sofia, which was built in 2013 with the help of the local government. The country had been having severe issues with a growing population of abandoned dogs for over a decade but it took a fatal incident with a university professor, who got attacked by a pack of strays in 2012, to finally open up the eyes of local government to the much-needed change. Ever since, the Four Paws team has been involved in several projects, key to building communities where both people and animals live happily side by side. Apart from caring for physically traumatised animals, at the clinic, the team neuters strays who have adapted well to life on the loose and provides free services for the pets of destitute pet owners. “There are so many wonderful people who take in stray animals, even though they barely have enough to eat themselves. Even though their behaviour usually channels a purely unselfish desire to help another soul, if these people can’t afford to spay or neuter the dogs, they involuntarily contribute to the growth of the street population,” says Yavor. For the past three decades, ever since Bulgaria transitioned from a totalitarian to a democratic government, more dogs have been abandoned or born on the streets than the network of shelters, foster homes, and adopters can handle. It was especially harrowing in the early 1990s when the strict socialist rules for owning and breeding dogs were abrogated. According to Yavor and his colleagues, a lot of people back then got involved in illegal breeding to make a quick buck. Consequently, mongrels were thrown out into the streets, because they were not economically viable, and their stories often ended violently. 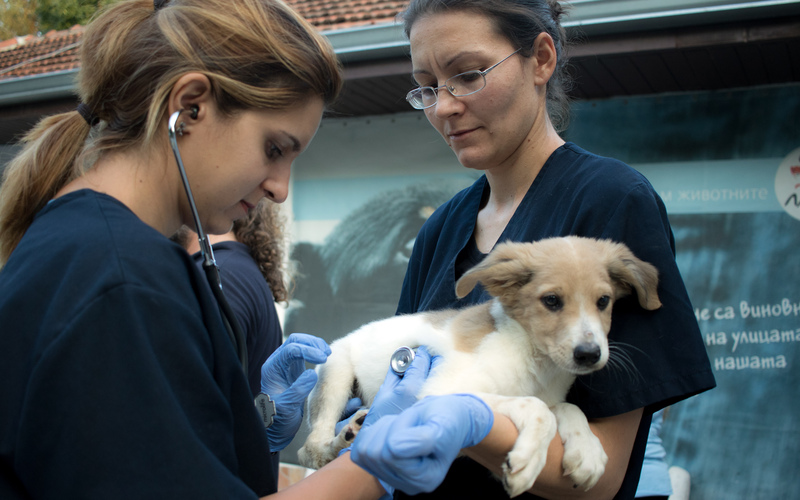 Bulgarian animal activists, such as the Four Paws employees, took on the challenge with undying enthusiasm and today the number of adoptions is growing to effectively counteract the cases of neglect and abuse. To keep the positive trend going, Four Paws has a mobile clinic as well. In this department, their work is project-based and centred around helping Bulgarian municipalities improve their dog welfare efficiency. Yavor explained that, if local authorities are interested in making a difference, they have to be proactive and contact the NGO, fill out a detailed form, and prove that they are in it for the long run. 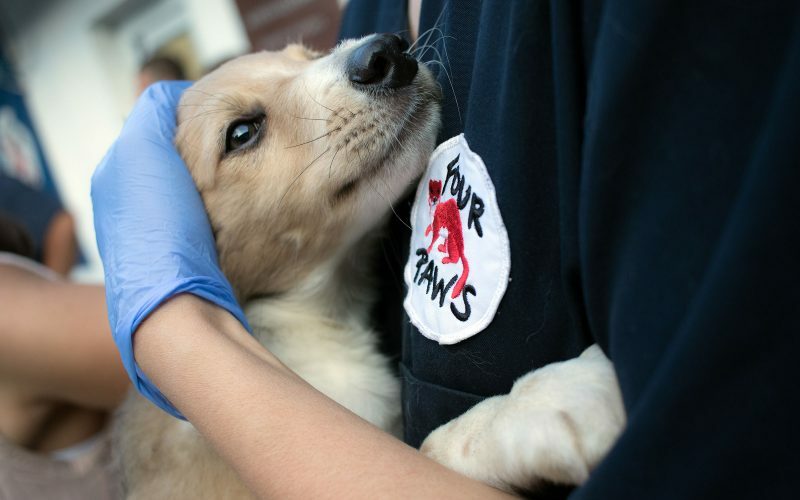 After a dedicated Four Paws team is satisfied that a request is genuine, they set up shop to spay and neuter, but mostly to pass on their knowledge and experience. “Often, the local vets and politicians truly are dedicated and just need the know-how. It is our job to help them get started and then give them enough space to make their own way,” explains Yavor, as he shows me a table calendar with success stories from around the country. As a proud representative of the Bulgarian activist society, he happily describes how the government’s outlook on four-legged life has changed over the past couple of decades. While in the 1990s stray dogs were seen as a pest that had to be exterminated, collective ongoing efforts have proven effective. 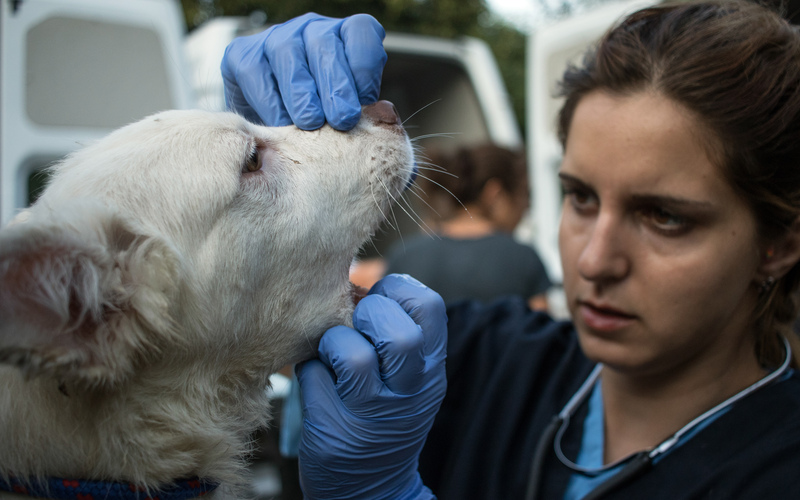 For the past few years, around 500 dogs have been getting spayed or neutered annually, just in Sofia, bringing animal welfare to the top of society’s list of interests. In spite of the dramatic change that Bulgaria experienced in recent years, Yavor summarises some of the pressing canine issues that the country has yet to resolve. Most of all, it is municipal shelters and small-town vets that still need a bit of help to truly cater to the needs of those who have no voice of their own. As long as medical professionals remain reluctant to advocate for spaying and neutering, more dogs will be born in homes where people are unable to take care of them. Consequently, NGOs in the country often have more work than they can handle and municipal shelters exceed their capacity. Yavor believes shelters should be the last resort and only for dogs who cannot get fostered. Often, the dogs in shelters or on the streets are there due to illegal breeding, just like Sherlock, or because a particular breed has attracted people who are not prepared to put in the time and effort required to raise a healthy dog. Another issue that is timidly tackled mostly through social media outreach is that in rural areas it is still common practice to tie dogs up to a chain in the yard and use them as a “free alarm”, as Yavor puts it. Nevertheless, it seems that Bulgaria is very much on the right track and the public’s eye, at least in bigger cities, is now firmly set on maintaining puppy tails wagging cheerfully. To a large extent, the process is helped along by the indispensable help of volunteers and, just like any other NGO, at Four Paws they are always happy to get a bit of extra help. 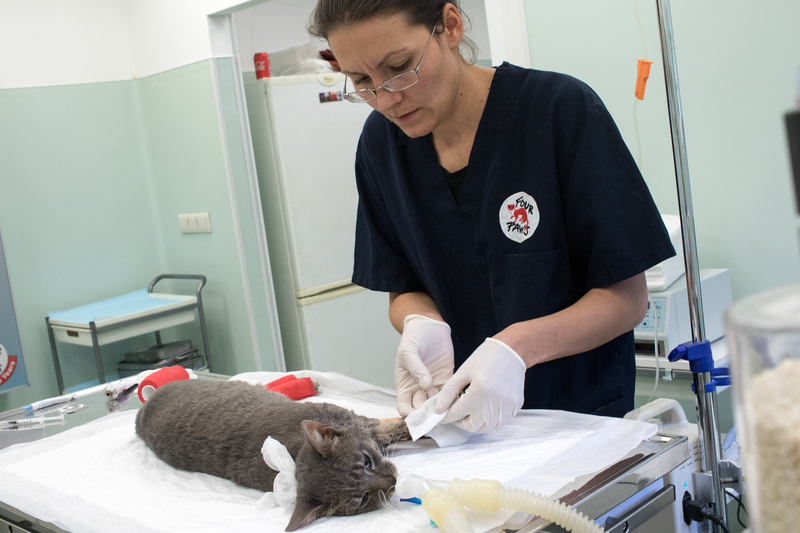 The clinic in Sofia often lacks volunteers, because Four Paws handles some of the most difficult cases around and many people find it emotionally straining to stick around. Yet, the sturdiest of helpers are essential for dog walks, assisting the vets, cleaning, maintenance, technical work, and spreading the word that dogs of any breed or no breed at all, handicapable or four-legged, all need a human to love and care for them. Foster homes and people willing to help with transportation are also in demand, as well as adopters. Because Four Paws no longer transfers their rescues to shelters, adoptive dog parents from both Bulgaria and around the world are a key element of the NGO’s network. Liya Panayotova is a freelance writer and editor, with a focus on sustainability, animal welfare, social justice, and responsible travel. As a digital nomad, currently based in Sofia, Bulgaria, she travels the globe looking for great people and stories. Mega, the adopted dog she shares her life with, is always by her side, even when hitchhiking and train-hopping.